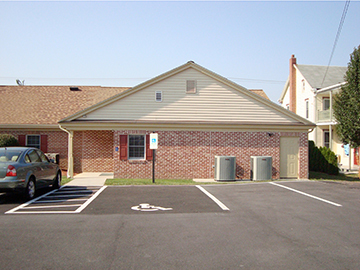 Hanover Engineering was retained by the Borough of Denver to assist with the design and permitting of all site improvements required for the one-story, 1,760 square foot addition to the existing municipal building located on Main Street in the Borough of Denver, Lancaster County. The renovations included the reconfiguration of the existing meeting hall into offices and a conference room. The building construction consisted of wood framing, pre-fabricated wood roof trusses, and brick veneer to match the exterior of the existing building. The site improvements associated with the building expansion included construction of additional paved parking areas, stormwater management facilities consisting of a sub-surface seepage bed with subsurface roof drains, and required utility connections. Hanover Engineering prepared the plans, specifications, and bid documents for the site improvements, as well as assisted in the bidding and award of the contract, and provided contract management and observation services during construction. During the course of the project, Hanover Engineering coordinated the site design features with the local architectural firm designing the building.